So much thrifting happened over the weekend. It made my little heart happy. 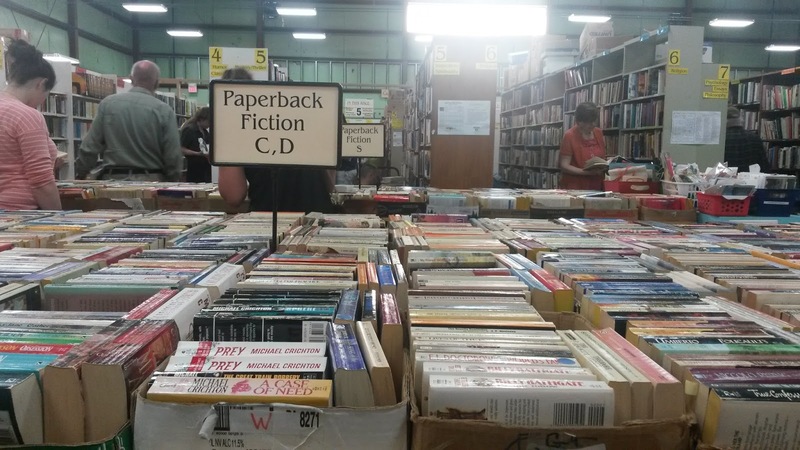 I mentioned on Friday that we have a pretty amazing book sale here in Ithaca. It takes place the first 3 weekends of May and again for 3 weekends in October. The prices are amazing and you can stock up on some pretty great reads. Last weekend I took my mom for mother's day because she is a bookworm to the max. She was looking for a specific series of books in which she had the first 3 books and there were a lot more out there. When we looked last weekend they had a few of the books but they were so scattered so she decided not to buy them. I had promised her I would go back this past weekend to buy them for her at the cheaper price. Little to my surprise when I got in on Saturday, they had the WHOLE series! I was able to buy book 4-12 of this series for only $4.50. She was so excited! This is why I love local events. This is such a special event where people come form all over to search for books. I am already looking forward to October! My next stop was the Thrifty Shopper. It's kind of like a higher end Salvation Army. They were having a store wide 50% off sale. I walked out of there with 6 items for under $20. My best find by far was a pair of NYDJ (Not Your Daughters Jeans) jeans that were in excellent condition for $4.99. These jeans retail brand new for $120! Sorry for the crappy photo! 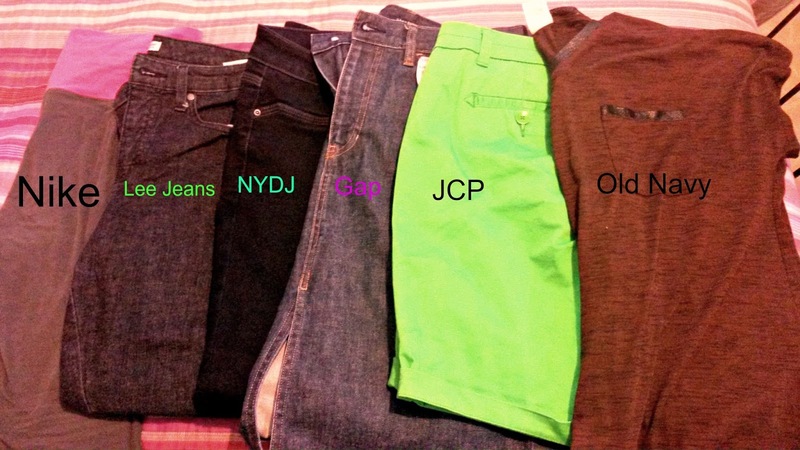 I also scored a brand new with tags Gap denim skirt, JCP brand lime green shorts (SO IN LOVE), Nike leggings, Lee Slimming jeans, and an Old Navy t-shirt with faux leather accents. I think I did pretty darn good. Getting myself all ready for summer! What did you all do this weekend? Are you into thrifting? If so what are you favorite finds?! Good for you!!! I feel like most of the time that I thrift for clothes I end up spending a lot on a bunch of good deals- then never wear the clothes! I need to invest more time in it. 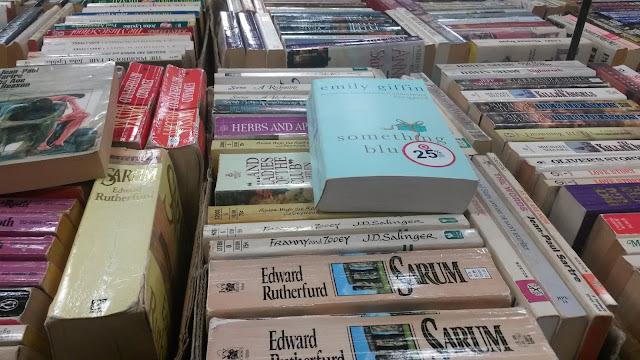 The book sale is amazing! I have had some good luck lately but it is definitely hit or mess sometimes with the thrifting! I am horrible at thrifting! Both of my sisters-in-law are amazing but I never find anything. I used to hate it but got better the longer I worked at it!